motor skills as well as their hand-eye coordination. Throughout all of these preschool activities for zippers, students will be developing their socialization skills by participating with their peers, and they also will be using their creativity to manipulate the zippers to create something. This is an important part in building a child's confidence and helping them develop their imagination and build their small muscle control. A basic introduction to a zipper would be to first explain the use of it and how it works. The best approach for this would be to teach the preschoolers in a song. Have the students join you at the carpet and give each child a zipper. Then as you sing the song, have the students mimic your movements. Preschoolers love seeing themselves on TV, so why not make an instructional video on how to zip a zipper? Assign each student a part in the video. One child can talk about what a zipper is, one can talk about what they are used for, another can show how different zippers work, etc. When the video is completed, invite another preschool class to view the video on how to zip a zipper. A fun, educational activity is to have students use their zippers to create a letter of the alphabet. Have students glue the zippers on a piece of paper to create the first letter of their name. Use bright colorful zippers. You can display the zipper letters on a bulletin board titled, "Zipp-ity Letters." Students will love to zip a Ziploc bag back and forth. Get a variety of different size Ziploc bags and have children practice zipping them back and forth. When they are done have them put paint into the bags and create different colors by mixing them together with their hands on the outside of the bag. This may be a messy project, but it sure is fun! Students will love to create a book made of zippers. 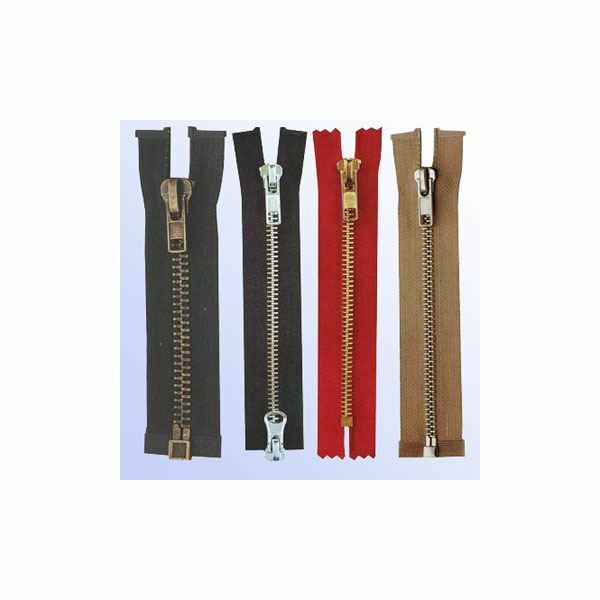 To begin, provide students with an abundance of zippers in all sizes and colors. Next have each child create a page for the book by gluing one zipper to a piece of paper. Then compile all of the students' work into one big book and title it, "Zip It." A fun and messy project to do with preschoolers is to paint with zippers. First you have to tear the zipper apart so the teeth are out. Then give each student some paint and have them dip the zipper into the paint and create a picture with the zipper teeth. Students will love to create zipper rubbings. You will need a variety of zippers, white paper and crayons. Have students lay the zipper on a flat surface and put the white paper over the zipper. Then have them take their crayon and rub it over the paper that is on top of the zipper. They can use various size zippers to create a masterpiece. Create a zipper character out of zippers! Have students draw a huge letter Z on a piece of paper, or you can hand out a pre-made letter Z paper. Then have students glue zippers onto the letter Z. Next give the students a variety of supplies to decorate their Zipp-ity Z character. Hand out supplies such as, cotton ball, scrap paper, silly eyes, yarn, glue, markers etc. Preschoolers will love creating this character. When completed you can have each student share their drawings with the class and, as a whole, create a story about Zipp-ity Z the Zipper. Have students help you create a song about Zig Zag Zebra sung to the tune of London Bridge. You can provide them with the first few lyrics and have them help you create the rest of the song together. This is another fun zebra activity that preschoolers will love. Provide the students with a picture of a zebra. Have them glue a zipper onto the middle of the zebra's stomach. Next have them decorate the zebra any way they like. An extension of this activity is to create a story called "Zip the Zebra Went to the Zoo." Have the students help you create a story using the character Zip the Zebra. Students will enjoy engaging in these preschool activities for zippers. With a lot of practice they will be able to zip and dress themselves in no time and with no assistance. All activities are provided by Janelle Cox based upon her classroom experience.